Yes! I think so many people, including myself, underestimate the power of this word. One word can make all the difference. It can change your life. You want to know what this word has done for me? 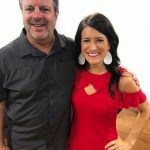 Saying yes in 2012 when God prompted me to write a blog has now led me to write over 900+ posts and has connected me with people all over the world, hopefully bringing encouragement and truth. 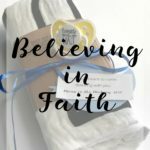 Saying yes in 2013 when God prompted me to start a faith-based fertility support group has led me to not only celebrate 45+ miracle babies out of the local group, but also led me to start an online support group and host a conference. Not only that, but that original yes turned the ministry into a non-profit and start other groups throughout the country. Saying yes in 2013 when God asked me to surrender our fertility journey has led me to so much joy, peace and freedom. 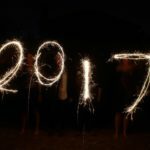 Saying yes when feeling led to quit my job earlier this year launched me into more than I even knew was coming my way. And saying yes 2 times this year to being a keynote speaker has left me so uncomfortable. So uncomfortable. But you know what? If my discomfort encouraged at least one person, then the yes was worth it. These are just a few larger examples. 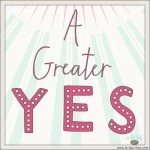 There has been yes after yes, even on a daily basis that has changed everything. The beautiful thing is all God is asking of you and me is to say YES. He wants to write the story, but he needs people who are willing to be the main character. But here is the thing. The yes? All of the times I have said yes? It hasn’t been easy. It hasn’t been comfortable. It’s stretched me. It usually doesn’t make sense. It’s been hard. It’s taken sacrifice. It’s taken most of my time and a lot of my money. But every yes? Every yes has been worth it. You never know what your yes will do. You never know how your yes will impact the kingdom. You never know how your yes will glorify God. You never know how your yes will not only change your life, but the lives of those around you too. 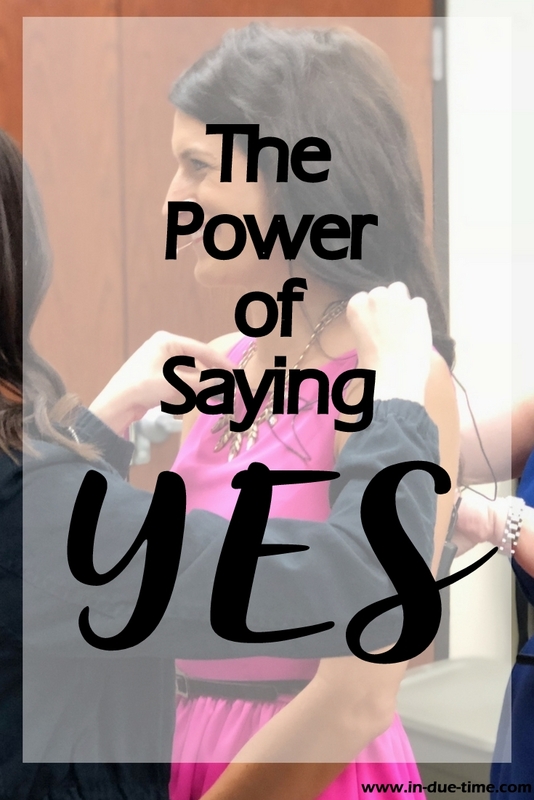 What have you been hesitant to say yes to? What is holding you back from saying yes to what God is calling you to do? I want to encourage you that you saying yes to what God is asking you to do is going to set you up to experience all that God has for you, including things you never even knew were possible. I love this post! Thank you for saying yes and thank you for encouraging me to say yes! 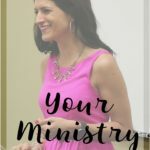 When my husband and I were helping at a youth group before as adult leaders, the youth pastor taught once about having the attitude of saying, “Yes” to God before He even asks the question. Since we are supposed to trust and follow Him completely, it makes sense that we should be eager and ready to say, “Yes,” no matter what He is calling us to do. It’s not always easy or comfortable, but it is always so worth it (which your witness clearly demonstrates!). Thanks for sharing! 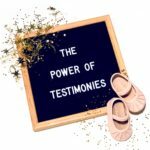 If you hadn’t of said yes, I honestly don’t know where I would be with facing my infertility, thank you for that ?? Your faith is a beacon for others and pleasing to God! Keep up those “yes’es”! I’ve heard that the more we say “no” to the Holy Spirit, the quieter His voice gets – and I’ve found this to be true in my life. For me I’ve found one of the most critical areas to continually say “yes” to Him is when I sense the prompting to put aside whatever I’m doing and spend time in my Bible and/or praying instead. I never, ever regret obeying! !